Download 60 Software Development Templates, Forms, and Checklists (MS Word, Excel, Visio) for technical writers, software developers, and software testers who need to write guides, plans, tutorials, and other forms of technical documentation. 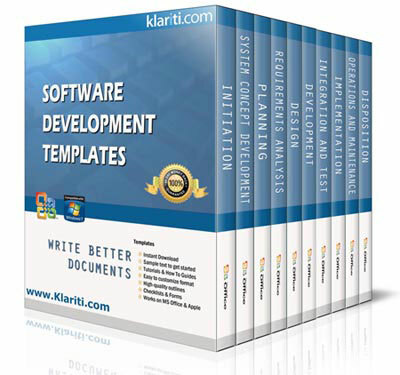 Save time and money by downloading these 60 SDLC templates today. 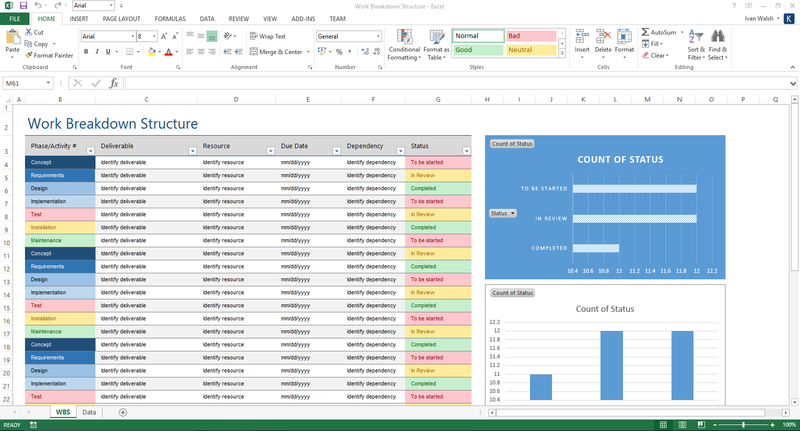 Our bestselling product includes including 192 MS Word, 95 MS Excel, and 5 MS Visio templates. Ideal way to help software developers, software testers, and technical writers prepare professional looking technical documentation during the software development lifecycle. Each template includes sample guidelines, tips, and direction on how to write each document. Download Now for only $197.99! What technical documents are required for the different phases of the software development lifecycle? The following documents are required for different phases of the software development lifecycle. The Concept Development Phase typically begins after the Concept Proposal and Project Charter are approved, the Initiation project status review completed, and approval to proceed to the Concept Development Phase is granted. Define and approve project scope, including the system, deliverables, and required activities. Use the Cost Benefit Analysis template to calculate and compare benefits and costs of a project or decision. The CBA helps predict whether a project’s benefits or decision outweigh its costs relative to other alternatives. Determine if the project or decision is a sound investment or decision. Compare the total expected cost of each option against the total expected benefits, determine if benefits outweigh the costs, and by how much. Use this System Boundary Document template (SBD) to establish the boundaries of an information technology (IT) project. Capture the goals and objectives that the IT project is intended to satisfy. Use the Responsibility Assignment Matrix to define the roles, authority, responsibility, skills, and capacity requirements for all project tasks needed to complete the project. The agency and contractor responsibilities are addressed in the RAM. Use the Acquisition Plan template to identify how and when the required resources will be obtained. Use the Change Management Plan template to define how project changes will be monitored and controlled from project inception through completion. Describes the processes required to ensure timely and appropriate generation, collection, distribution, storage, retrieval, and disposition of project information. Provide guidelines to manage source code, software builds, build environments and define how to add new components to builds. Documents the actions necessary to define, prepare, integrate and coordinate planning activities. The Project Plan template defines how the project is executed, monitored and controlled, and closed. Update throughout the course of the project. Use the Risk Management Plan Template to document how teams will identify, manage, and mitigate project related risks. Describe how to identify and quantify typical project risks; rate the Likelihood, Impact and Priority of each risk, and the preventative and contingent actions needed to reduce the likelihood of each risk occurring. Documents the scope of a project and its business case with the high-level requirements, benefits, business assumptions, alternatives analysis, and program costs and schedules. The Scope Statement is used as a baseline and input into the Change Control process for any changes to the project during the lifecycle. Scope, approach, and resources required to assure system security. Determines if a systems or component satisfies operational and system requirements. Verification and Validation Plan requirements provide direction for software developers to gauge the progress of a program and determine if operational requirements meet to Initial Capabilities Document (ICD) and Capability Development Document (CDD). The purpose of the Requirements Analysis Phase is to transform requirements specified in earlier phases into unambiguous, traceable, complete, consistent, and stakeholder-approved requirements. Defines the system inputs, processes, outputs and interfaces. Use different techniques to collect and represent the functional requirements depending on the type of project and customer. A table that links requirements to their origins and traces them throughout the project life cycle. Developing the RTM helps to ensure that each requirement adds business value and that approved requirements are delivered. Defines in detail the roles, authority, responsibility, skills, and capacity requirements for all project tasks needed to complete the project. Defines all project activities from planning to implementation. Primary input source for the development and execution of the Project Schedule and timelines. Use these MS Word and Visio templates to define a sequence of actions that yields an observable result of value. The use case provides a structure to express functional requirements within the context of business and system processes. You can diagram and/or document use case scenarios. 9 MS Visio templates. 29-page tutorial, and a free Excel Data Dictionary. Use this BOM template pack (MS Word & Excel) to list the parts for building a product, including software application, infrastructure equipment and physical buildings. Define specific aspects of your business. Business rules clarify the appropriate action that needs to be taken and removes any ambiguity regarding the correct course of action that must be followed. Business rules describe how company policies or practices apply to a specific business activity. As you model your business processes, you can capture business rules as separate elements and weave them into your process flows. Use these Business Rules Templates to describe how company policies or practices apply to a specific business activity. As you model your business processes, you can capture business rules as separate elements and weave them into your process flows. In addition, you can customize these templates to create functional business rules to calculate values, and perform tasks for financials, budgets, and workflows. 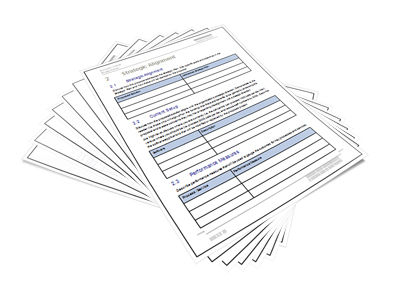 Use this Conversion Plan template (19 page MS Word template) to document your conversion types, security , strategy, data conversion , tasks, planning, and conversion requirements. Describes strategies to convert data from one system to another hardware or software environment. Use this Conversion Plan template (19 page MS Word template) to document your conversion types, security , strategy, data conversion , tasks, planning, and conversion requirements. Download the Disaster Recovery Plan capture requirements designed to restore operability of system, applications due to any extended interruption of the agency’s business services. 32 page DR plan with Impact Analysis, Damage Assessment & Reports. Document the process, policies and procedures to prepare for recovery or continuation of services following a disaster. This Implementation Plan template describes how to deploy and install the system into an operational environment. Provides an overview of the system, description of the major implementation tasks, resources required to support the implementation (such as hardware, software, facilities, materials, and personnel), and site-specific implementation requirements. Update during the Development Phase. You can use this Implementation Plan template (29 pages MS Word) to describe how to deploy, install and transition software or hardware systems. You can edit this Implementation Plan to document the major tasks, resources, such as hardware, software, facilities, materials, and personnel, required to implement a new software or hardware system. Documents the system procedures required to install, configure and support the system. Created during design phase, revised during construction and test phases, and finalized in the implementation phase. This template contains emergency response procedures; backup arrangements, procedures, and responsibilities; and post-disaster recovery procedures and responsibilities. Provides System Admins and computer operators with a operational description of the system and its associated environments. Document procedures and information required run a system, product or application. Includes scheduled operations, tasks, troubleshooting, audits, tables, charts, and matrices for monitoring, backups, scheduling. Use this Software Development Plan template to gather all information required to manage the project. It captures a number of artifacts developed during the Inception phase and is maintained throughout the software development project. Provides System Admin personnel and computer operators with a detailed description of the system and its associated environments, such as operations and procedures. Identifies the users and how they will be trained to use the new product. Generally required for large projects. Provides the information necessary to use the system. Typically described are system or component capabilities, limitations, options, inputs, expected outputs, error messages, and special instructions. Download Individually for $9.99 – Buy Here! This Contingency Plan template identifies emergency response procedures; backup arrangements, procedures, and responsibilities; and post-disaster recovery procedures and responsibilities. Ensures that systems can recover from processing disruptions in the event of emergencies or large-scale disasters. Contingency Plans are synonymous with disaster and emergency plans. You also get nine spreadsheets to help track, plan, and monitor the progress of different QA tasks. Use this checklist to capture the decisions that need to be made to contain a disaster scenario and implement the contingency plan. Identify the categories that will be affected, such as Organisation or User groups, then identify the risk, the likelihood of this occurring, and the difficulty of making a decision. Enter the number of days to complete the tasks. In this example, the min number of days is 1, the max 10. This means that a Red arrow is shown for tasks that, on average, tasks that take less than four days; yellow means they are on track, and Green ahead of schedule. You can change the numbers to suits your needs. In each column you add your own risks, instead of the ones listed. State here the value of the risk: probability of occurrence * impact. Remove the X (sample placeholders) and enter an x if a risk is still open. Color these cells Red is the risk is closed or Green if it’s still open. The Conversion Plan template describes the strategies and approaches for migrating data from the existing system(s). Define all planned activities to ensure successful implementation into production operations. In general this plan is developed during the Design Phase of the Software Development LifeCycle and updated during the Development Phase. Goals – identify the high-level goals for this project and critical success factors. Security – identify security requirements which must be addressed before and after the implementation. Roles & Responsibilities – outline the key individuals involved in different phases of this activity. The more detail you provide here, the less misunderstandings or assumptions will arise when the project starts. Tasks – describe the different tasks which must be accomplished to implement the new system. Schedule – describe the schedule and/or sequence in which tasks which must be performed. Resources – identify the software, hardware, equipment and other resources you need to perform these tasks. This will help the Project Manager estimate the cost of the project. Requirements by Site – describe the different requirements for each site. In large projects, you may need to identify different tasks for different sites and schedule these accordingly. Use this to document the development of each unit or module, including test cases, software, test results, approvals, and any other items that explain the software functionality. Documents the technical and user training needed on the new systems. Summarizes the current release; typically includes new features and changes and identifies known problems and workarounds. Documents the details of the business processes related to the operations and maintenance of the systems. Describes how to deploy and install the system. Contains an overview of the system, description of the major tasks involved in the implementation, resources needed to support the implementation effort (i.e. hardware, software, facilities, materials, and personnel), and site-specific implementation requirements. Describes the requirements to dispose of the current system. Identifies how to terminate the system/data, when to terminate, dispose and preserve system components and equipment. Documents the Disposition Phase Review findings and lessons learned from closing and archiving the terminated system; identifies the repository for all archived products and documentation. 60 Templates for only $197 – Buy Here! We’ve been selling online for almost 20 years. Here are some of the kind words from our customers. File Size – The download file is 97 MBs. It may take a few minutes to fully download depending on your connection speed. Please wait until the entire file downloads before opening it, otherwise, you may get an error message. If you do, simply click the Download link in your email. Getting Started – Depending on your MS Office settings. the files may say Read Only when you open them. If this occurs, simple click File, Save As and save the files. There are no security settings on any of the files. Images – All of the images in the templates are copyright free. What file formats are the templates in? The files work on Word 97, 2003, 2007, Office 2010, Office 2016, Windows 7, XP, Vista, and Apple iWork (if you have Word for Mac).